“An actor’s popularity is fleeting. His success has the life expectancy of a small boy who is about to look into a gas tank with a lighted match.” Fred Allen, American comedian. The “fundamental disconnect”. Except in the case of DIYers, who develop the CI that they need for their own decisions, those providing CI cannot force their customers/end-users to use (or even to pay attention to) the CI. And if they do use it, it is often seen (or at least claimed to be seen) by those customers/end-users as only one of many inputs, confirming prior beliefs, or “obvious”. “Good advice is always certain to be ignored, but that’s no reason not to give it.” Agatha Christie. Failures of CI are like any other failures – blame is hard to assign and harder to accept. “Victory has a thousand fathers, but defeat is an orphan.” John F. Kennedy, News conference, April 21 1961. Successes in CI not only have “a thousand fathers”, but are too soon forgotten. I know of more than one firm where its CI operation provided demonstrable multi-million dollar savings, benefits, or new business captures within a very short time, but which then suffered from severe cuts in the very next budget cycle. “Dangers which are warded off by effective precautions and foresight are never even remembered.” Winston S. Churchill, The World Crisis – Volume I, 1923, 1951, p. 432. 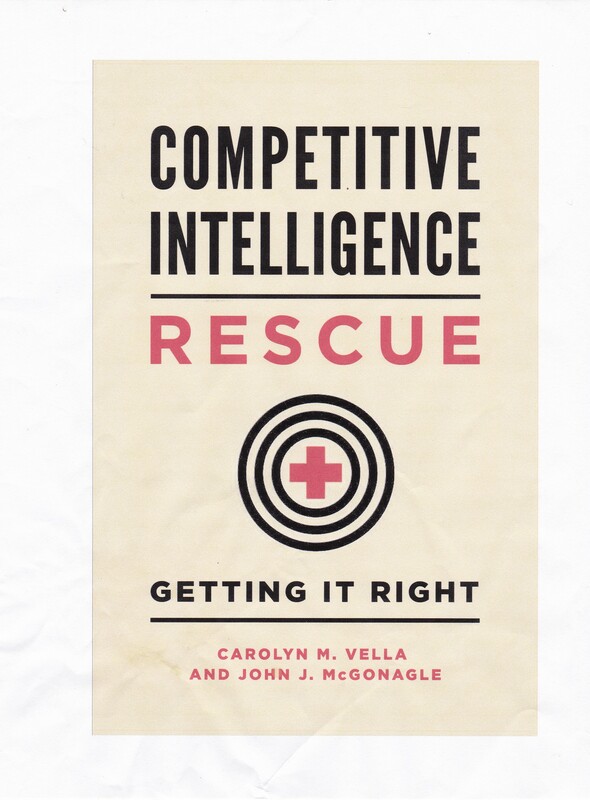 For help on doing that, see John J. McGonagle and Carolyn M. Vella, Bottom Line Competitive Intelligence, Praeger, 2002.